Explaining what is a smart home, how does the Internet of Things works in the context of private houses may require some effort. 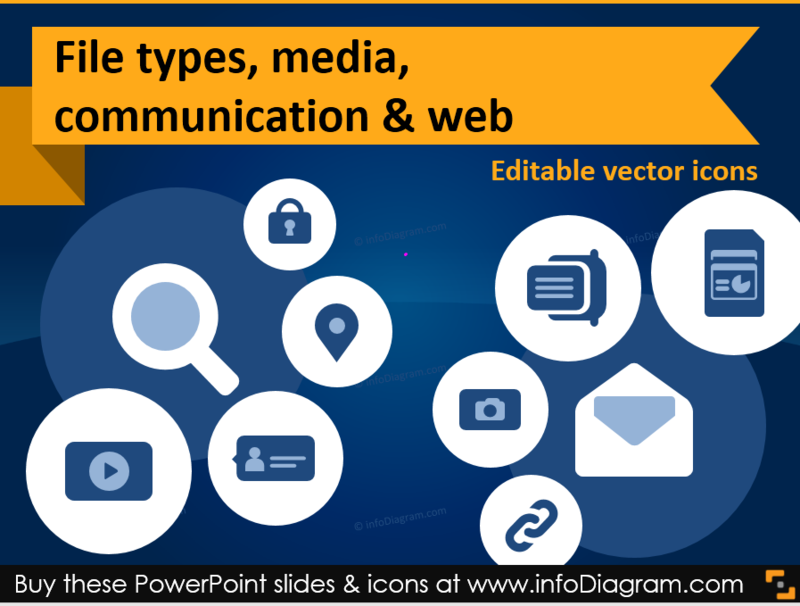 Like for many other complex IT topics, illustrating your slides with a scheme and icons can increase the presentation readability. 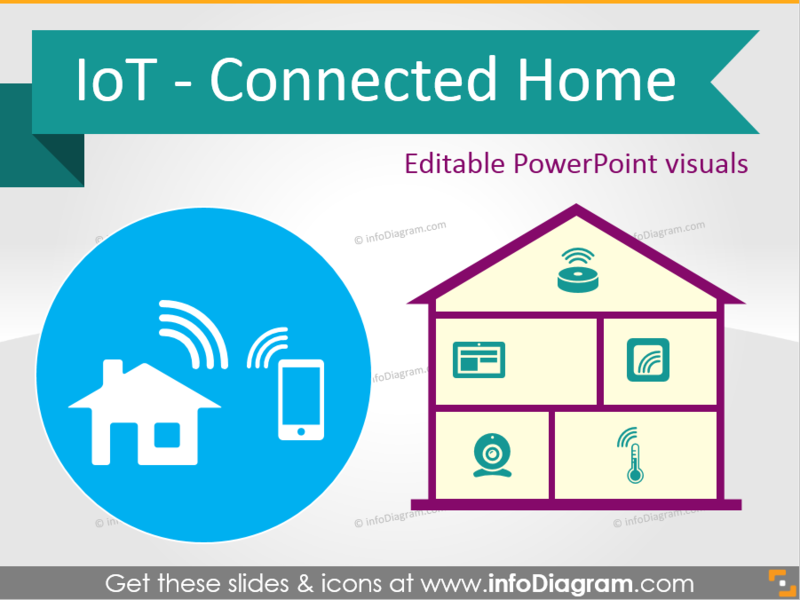 See examples of IoT visuals applied in the connected home sector. 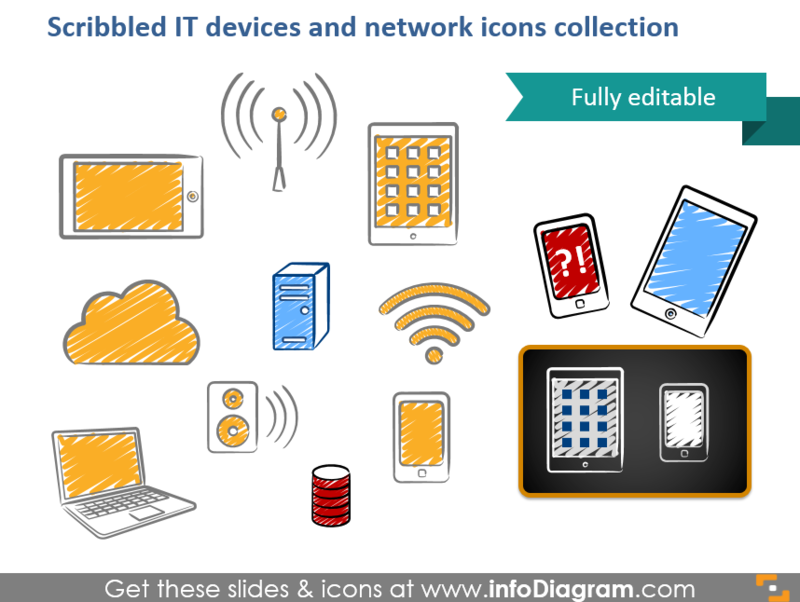 Are you seeking for a way to make your IT technical slides look creative? 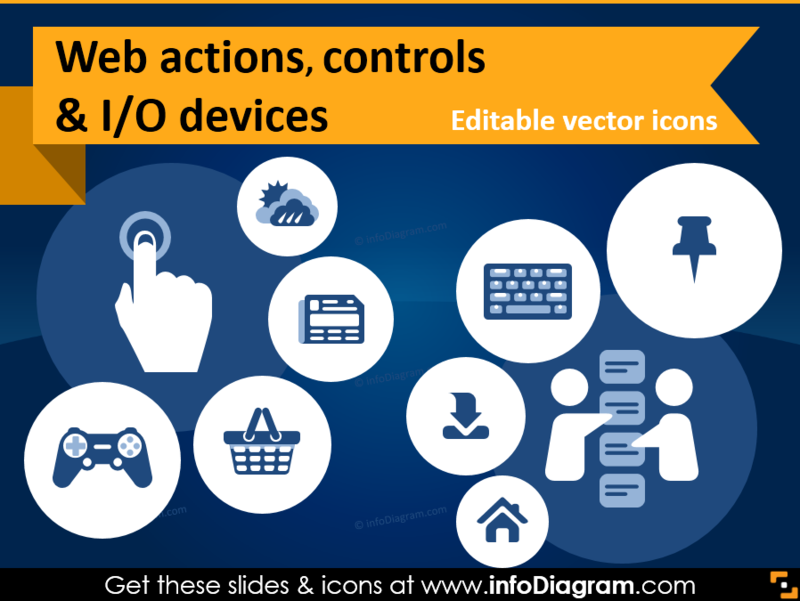 Try to use atypical graphical elements inside the diagrams. Do you have a presentation about website content? Are you redesigning a webpage and want to quickly sketch website changes for your designer? Or you report online traffic statistics? 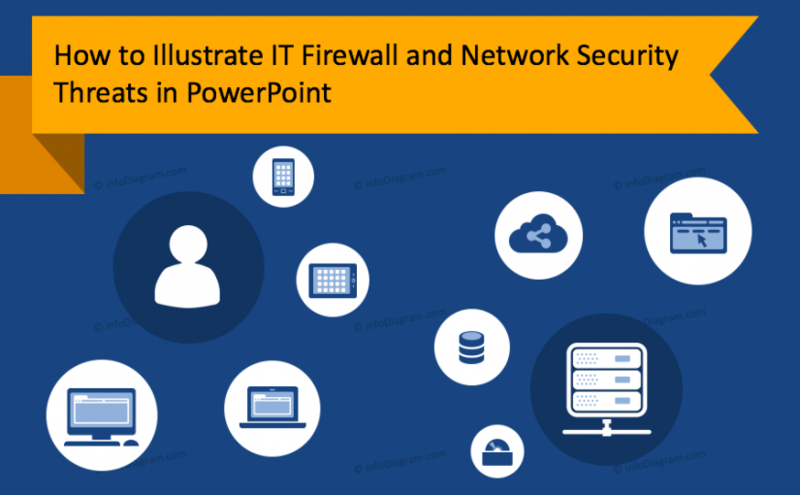 Using good old PowerPoint slides can be the fastest way, whether you draw a web mock-up or want to illustrate traffic charts. Having a presentation talking about informatics, websites, file types and other IT concepts? Here are a few ideas on how to make it more visual and remembered by the audience. Digital data and technology are everywhere. Big Data, Data Science, Machine Learning, Internet of Things… these are buzzwords of today’s world. Anyway, the question is how to present digital technology concept. In this post, we propose a few ideas how you can illustrate the digital idea in an easy way by one picture. In Scrum, meetings are pretty crucial part of the whole project management process. An effective meeting can move you forward, ineffective is not only a waste of time but can demotivate the whole team. And that can hurt the whole project. So it’s better to follow the meeting best practice hints. 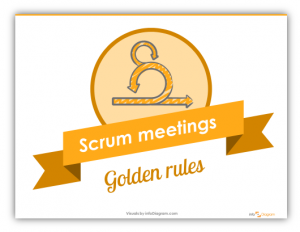 Check our slideshow of Golden Rules of effective Scrum meetings. 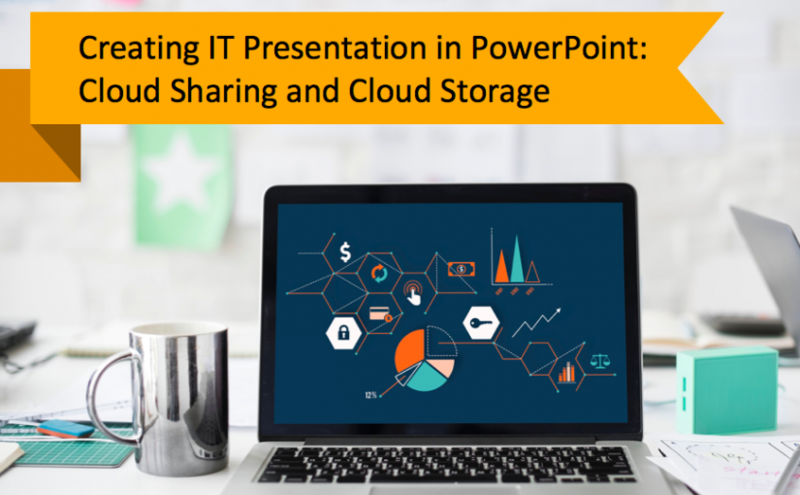 Still, have lack of ideas preparing IT presentation? In this blog, we show an example of how explaining IT concepts can be easy and fun :).